My first journey in experiencing innovative communication was a pulley system that transported a small box with a note in it between my brother’s room and mine. We spent hours attaching ropes to pulleys and securing boxes to support the weight. At that time, it wasn’t about the message as much as creating the communication system. As I got older, we discovered the power of the walkie-talkie. Instantly, our communication was transformed. We could interact in real-time, and created games to spy on Mom around the house. I have always been enamored with technology, and how to harness its power to communicate with others. It wasn’t long until the childhood tech was replaced with computers and cell phones. Although I miss a good written note folded in those origami rectangles, I have come to enjoy the visual text and pictures through Facebook, Instagram, and Twitter. While all of these apps have a place for professional learning and personal enjoyment, I find that Voxer is an indispensable app in my arsenal of communication technology. 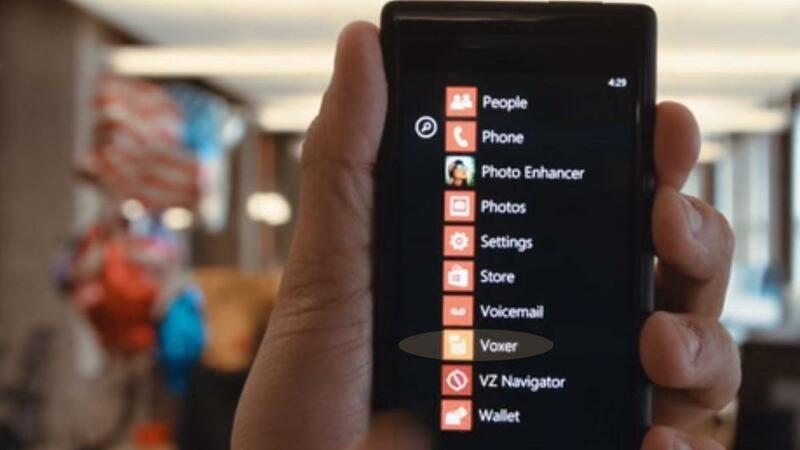 Voxer is a walkie-talkie-style application. Users can talk, post pictures, or text notes to an individual, or a whole group. You can also leaves messages to the whole group for follow-up at another time. Knowing there’s no silver bullet as a one-size-fits-all app, I have come to network with other educational leaders from across the United States on Voxer. Different from emails, texting, or Twitter, I have come to appreciate the passion of the voices, versus other media. I first saw the power of Voxer through an invitation from Jennifer Hogan (@Jennifer_Hogan). Although I never met Jennifer in person, she discussed using Voxer to conduct a book study with her staff. Although I didn’t live in the same state as her, I was able to interact with her staff, as if we were locals. Not to mention hearing those sweet, Southern accents. I fed off the energy and passion of each one of them! What followed was a life-changing experience. On a whim last spring, I joined #leadupchat on Voxer on a Saturday morning at 9:30 EST. I was instantly hooked. Co-leader Nathan Lang (@nalang1) and Jeff Veal (@heffrey) led a positive and engaging conversation. After a series of Saturday morning #leadupchats, Jeff and Nathan invited me to the LeadUpChat Voxer group. While weekly chats only last an hour each week, I was able to deepen my relationship with the “regular” educational leaders throughout the week. Jeff and Nathan post reflective questions based on the chat theme from the previous week or questions to prepare for the chat coming up. Throughout the day, educational leaders from across the United States, known affectionately as our tribe, respond to the questions as well as share insights, ideas, resources, and encouragement. Through the vision of Nathan and Jeff, they created the right environment for a Professional Learning Network (PLN) to be grown through the Voxer app. Last month, Jeff and Nathan also created www.leadupnow.com to showcase the power of the PLN. The culminating effect has been a positive group of leaders banding together to share ideas and encourage one another from all parts of the country. Although I haven’t physically met any of them, I feel connected to them like family and can’t wait for the day we meet up! While Voxer could be used for a simple one-on-one messaging system, the power of it is unleashed when leaders work in teams to study, share, and encourage one another! Neil Gupta began his career teaching mathematics. While teaching, he obtained a Masters Degree in Curriculum and Instruction from Ashland University and a doctoral degree in Educational Leadership. Gupta has experience as an Assistant Principal and Director of Curriculum of Teaching and Learning. In 2015, he became the Director of Secondary Education for Worthington City Schools in Ohio. He also serves as the President of the Ohio Association of Secondary School Administrators Association and is a member of the Ohio Educator Leader Cadre. You can find him on Twitter at @drneilgupta and on Voxer as drneilgupta. He co-leads the #ohedcht and contributor to #leadupchat.